Welcome to the online home of Tuddenham St Mary Cricket Club. We are a friendly village club located between Newmarket and Bury St Edmunds. We currently field 3 summer teams and a winter indoor side. We always welcome new players, if you are interested in playing or would like to be involved with the club in any way please get in touch. With the Indoor League and winter nets done and dusted for another year and the outdoor season is now upon us. We have a friendly against Worlington 2's on Sunday 16th April. The Saturday XI begin their campaign at Little bardfield Village on Saturday 22nd April, and the Sunday XI start with a local derby against Mildenhall on Sunday 30th. Here's to a successful 2017 Season! Congratulations to 'I Thought This was Speed Dating' (Wardy, AJ, Shimmo and company) for winning the April Fools Quiz, pipping serial quiz champions 'The Ball Tamperers' (Anthony Bromley and company) to the title. 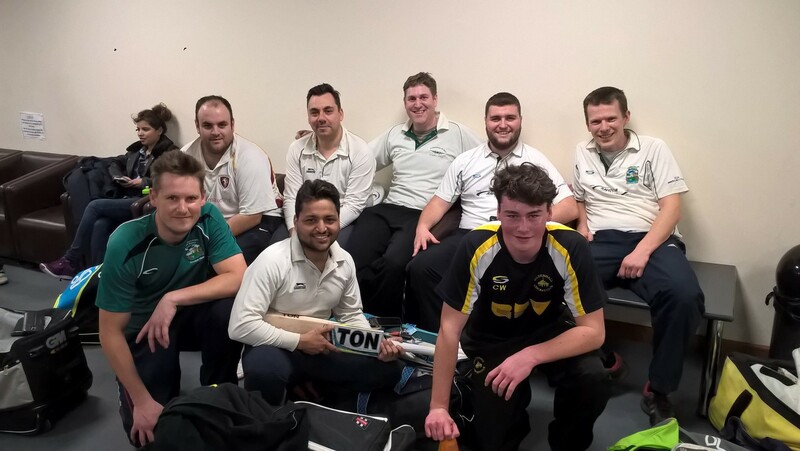 The indoor league came to an end with a win against Nowton to secure a 3rd place finish. Its been a great effort all winter with plenty of good performances including a win over eventual champions Mildenhall. Thanks to everyone who played during the season.